Now, people have to get to know the utility of food they see spread all over our nature. We, as human beings, need to realize the ways food and more importantly which food can be used or have the effect of a medicine. Food, as a matter of fact, is a primordial prerequisite for humans’ health and the maintenance of healthy lifestyles. 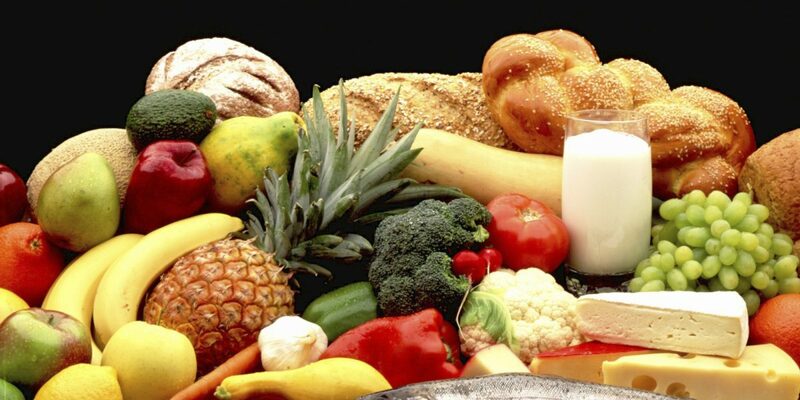 Fruits and vegetables are rich of vitamins, minerals, carbohydrates and proteins. There are some fruits with high sugar concentration like oranges, bananas and prunes but they are not hazardous for our organism. Overall, fruits and vegetables are anything but dangerous to humans. In the past, many civilizations did survive thanks to the nature and its vegetation. People did eat raw fruits and vegetables thus preserving and absorbing many of the vitamins their bodies needed. They made sure that nature kept its productivity and consequently nature through its plants did keep them alive and most importantly healthy. Some would be surprised to read that fruits and vegetables are the first food human beings must eat. Nature and almost everything it offers can be the best doctor and medicine out there. People need just to get to know what they are offered and how it can make them healthier. Many would think meat is the most important food and all the rest is just a company to it. They are wrong. Well, when it comes to meat, it is not the best food we have to consume. Sometimes, meat is not that healthy because it can cause hygienic problems and also lead to diseases in humans. Eating meat in big quantities, especially red met, can lead to bowel cancer, Alzheimer’s disease, Bones problems, Arthritis, Cholesterol, Food poisoning, Breast cancer. Meat and grain foods are full of organic acids that make the human body and organism succumb to diseases. Instead, fruits and vegetables are a better health choice, even if they are not tastier than meat. Fruits and vegetables contain chlorophyll full of solar energy. This valuable energy passes to humans through plants and animals. Minerals are also very essential to the human organism and they are easily digested and assimilated by the human body and cells. Vegetables contain another important unit-cellulose which eases digestion and cleans the body. Moreover, vegetables also alkalize the blood and protect us from disease. In the old times, people did not know about any kind of diets and vitamins but they just saw and experience the positive effects and energy fruits and vegetables gave them. Do not get ill and then start to look for remedies and doctors but instead try to realize the utility of food and most importantly start consuming more of it. 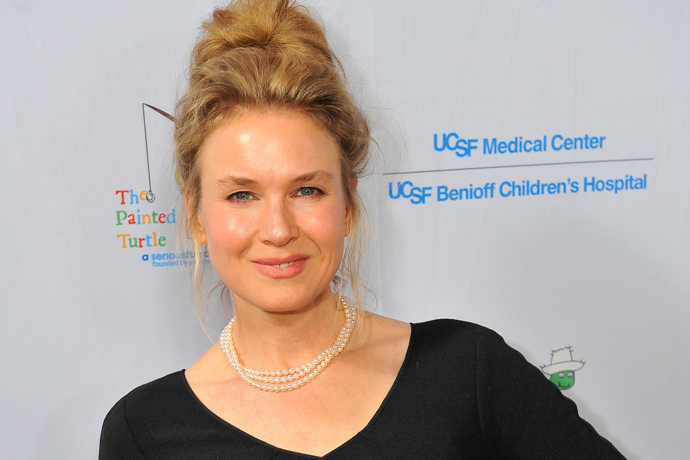 Renee had us at “Hello!” when we first saw her at the dramedy film Jerry Maguire. This cute, fresh faced woman was the epitome of the virginal look that men wanted to take home and meet mother. 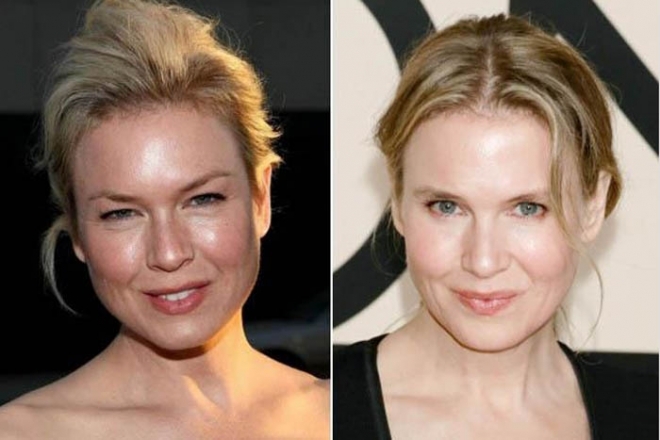 But so many things have changed since Renee Zellweger’s before and after plastic surgery pictures. This onscreen beauty got her good looks from her multi-racial genes. She is of Swiss, Sami, Norwegian and Kven descent. However, in 2014 when she appeared in the Elle Hollywood Awards, her facial features looked significantly different as if she aged in just a few months. Though she continues to deny it, there seems to be solid proof that she underwent some serious surgical enhancements. You’ll notice that her behind got even rounder. 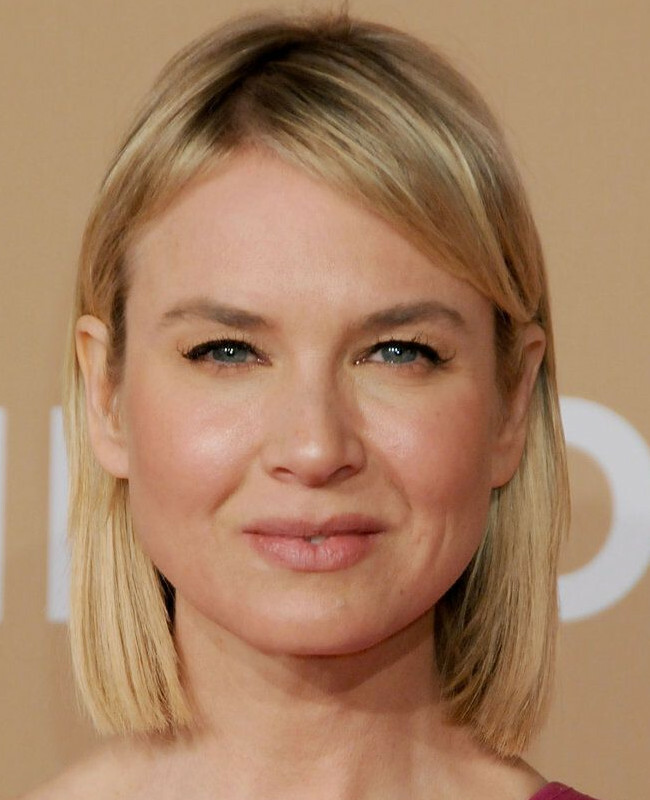 But before we analyse further Renee Zellweger’s before & after plastic surgery pictures, let’s take a look at her once fresh and young face one more time. In the 61st annual Golden Globe awards, she still had her fresh looks intact. Her half crooked smile is one of her famous beauty trademarks. Signs of aging started to appear in this picture. There is no date when this was taken but she still possesses the natural beauty that made her famous. 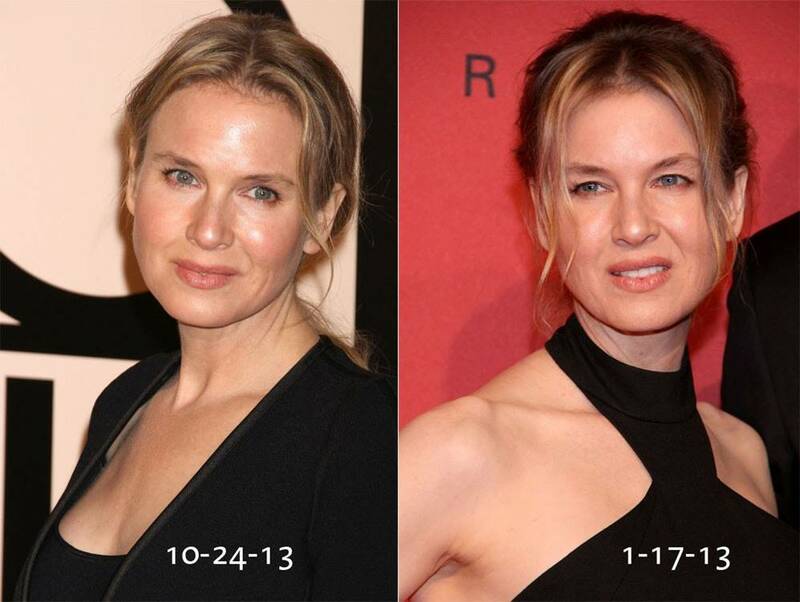 According to plastic surgeons, Renee had undergone 3 kinds of surgery by just judging this picture. She must have had botox for her forehead, Blepharoplasty for her eye bags and fillers for her cheeks. 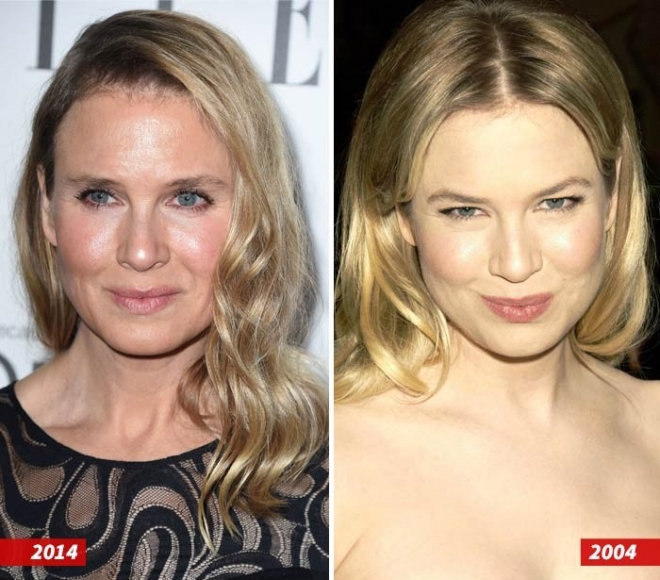 Even if she had aged a few years, it just doesn’t justify why she would need to go under the knife. After a few months that picture was taken, she reappears with this face. It launched a thousand speculations that she rebuked saying, she looks different because she got older. Even if she no longer looks the way she did before, we’d always remember her for the iconic roles that made her famous. In Bridget Jones, she played the overweight cutie who was torn between two lovers. Perhaps, one of the most outspoken members of the Kardashian family is Khloe. She never holds back when it comes to her words, especially with the people she loves. She does the same with her hair. If you are to take a look at Khloe Kardashian hair over the years, you will realize that all of them are bold statements. Her personality shines through with her choice of hairstyle. 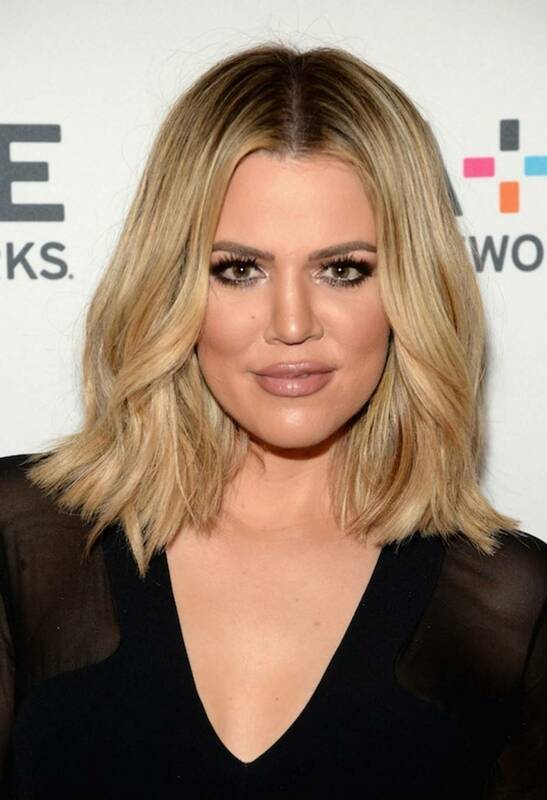 Khloe shocked everyone when she decided to cut her hair this short. In an interview, she said that after visiting Omar at the hospital, she simply wanted to get rid of the negativities in life. Prior to her decision to chop her hair off, Khloe usually donned this long, slightly wavy hair. She has always looked amazing in this hair. 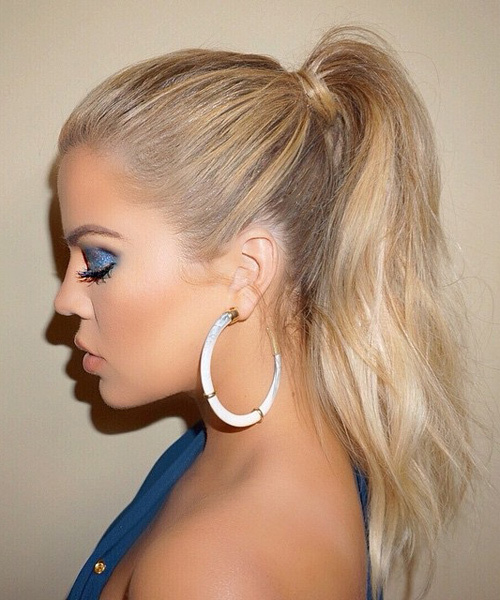 This braided, long blonde hair was something that Khloe doesn’t normally do. It was taken upon arrival at the LAX airport. Arriving at the Gabrielle’s Angel Foundation for Cancer Ball in 2016, Khloe looked stunning in this well-kept wet hair look. She didn’t don her usual wavy hair. Khloe attended the Good American launch at Nordstrom in California with this wavy, long blonde hair in late 2016. She was a founding partner of the Good American denim. 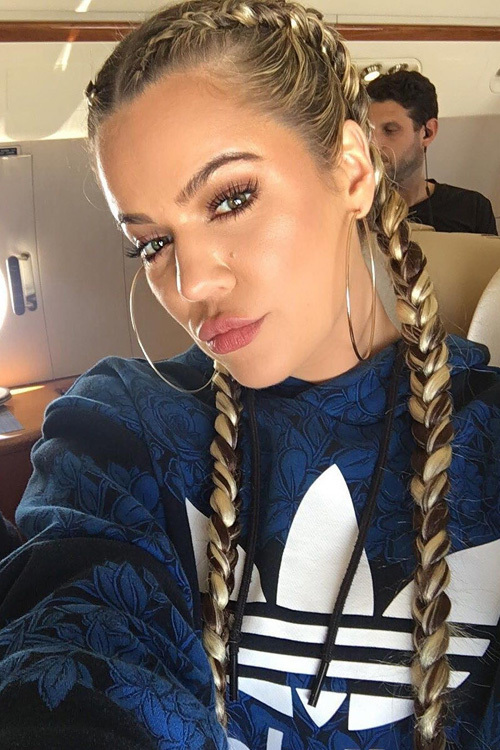 While seated comfortably on a plane, Khloe snapped this beautifully braided hair while wearing a comfortable sweat shirt. While discussing her new book “Strong Looks Better Naked” in 2015, she donned this stunning blonde hair with the right amount of wave. Khloe went for an old Hollywood glamor with this hairstyle during the Elton John AIDS Foundation’s Oscar Viewing Party in 2014. The overall look was strong and appealing. This very casual look was taken in California in 2015. She looked like she was just about to enter the grocery store (which is obviously not something she does). Khloe also tried wearing a high ponytail which was befitting her overall Greek-goddess inspired look. It totally matched her outfit on that day. Confucianism is a kind of religion anchored on the philosophy and ethics initiated by the well-known Chinese philosopher, Confucius. He was able to live from 551 to 478 BC. As many surely had stumbled upon, there were occurrences when Confucius was called the Kong Fuzi, or Master Kong. He took charge in teaching a system in social, political, philosophical and moral beliefs. This led to the assumption of many Confucianism facts that are still followed by some up to this day. Originally from the Shantung Province in Lu, Confucius grew up in poverty. He was deprived from the lavish and wealth of the world. His father passed away earlier than he thought it would be. He was still very young that time. Regardless, this did not stop his mother from teaching him everything he needed to know in life. The moment Confucius got married, he was able to have teachers of various arts. Six of them to be exact. As a matter of fact, he also started teaching when he reached thirty. As he was to unfold his fifties, he started developing his vision. He persevered in this. He continued until he died. He was 73 years old then. Confucius got married at a young age, 19 years old. Prior to his marriage, he worked as a stable manager and even a bookkeeper. As mentioned, he undergone six arts. These are arithmetic, archery, music, ritual, charioteering and calligraphy. There was also a period in his life when he pondered more on poetry and history. It came to a point when he had to bring his ideas up to the society. This involved politics and morals too. The same was also true with education. The government was very much informed with this. However, the sad truth was that initially, his ideas were not really given attention seriously. Because of this, he was forced to leave his country. He did this so that he would find himself a feudal state which would eventually hear his ideas out. Despite all the hindrances, like being put into exile for 12 years, Confucius did not put his teaching into a halt. As a matter of fact, he used that to spread his vision to the world. The moment he reached 67, he went back home. This was the time when he was very much eager to teach how to write. As for the religion based on his perspectives, Confucianism is still practiced in Korea, Vietnam, China and Japan. There are also some places in North America that adopted it. The religion is responsible in promoting the idea that individuals should adhere to moral virtue and as well as honesty. It convinces people to strive for a harmonious and ideal social relationship. Do not get this wrong though. Confucius, is not in any way, the founder of Confucianism. This was only called so because his outdated ideas were revived. They were again put back to life. Facts about Ladybugs – What are they? There are people out there who have this innate keenness to ladybugs. This is not surprising because they are colorful in nature. Their color, the spotted one, is also smoothing in the eyes. There are farmers who love them for they are quite a specie with appetite. Most of the time, ladybugs devour insects which eat plants. They are specifically into aphids. With this, they help for they can secure crops. These are popular facts about Ladybugs. The reproduction of ladybugs occurs in colony. It will start by laying off almost a hundred of eggs. This is going to be directed towards the said colonies. This may also be in other pests which eat plants. The moment they hatch, the larvae of the ladybug will start to feed. This is its nature ever since. Ladybugs are commonly referred to as lady beetles. It may be a bit different in Europe though because it is given the name ladybird beetles. There are like 5,000 variations of the given specie. These also differ on appetites. There are actually ladybugs out there that do not take plant-eaters as their prey. For instance, the Mexican bean beetle. The same is also true with the squash beetle. Both of these are considered to be really destructive pets. They are popular for preying crops. That is the reason why men detest their existence. Ladybugs may look like half-spheres at times. They may be round, spotted or tiny. They can also be oval-shaped. They are synonymous to domes. They may also go with very short legs and as well as antennae. The distinctive spots they have a really attractive as far as colors are concerned. These are supposed to be the weapons they have against predators. The said hue is meant to be unappealing. However, it turned the other way round. Ladybugs have the ability to create a foul taste. They do this through fluid secretion. This is not hard for them. Their color serves as a reminder. This is how they warn other animals that want to take them as victims. Through such, they are sending signals that they do not taste good at all. Whenever ladybugs are being threatened, they can play dead. They can also secrete a substance which is unappetizing in nature. This is another way to have themselves protected. It can be assumed that ladybirds are useful and functional. They can be the partner of gardeners and farmers out there. They are very much necessary in the agricultural field. This may also be applied in similar places if there are such. Pest controllers will definitely agree to this. They are effective and safer as compared to poisonous chemicals which are utilized by other farmers. This posed harmful effects on everyone. The bright pattern and colors of these ladybirds are also interesting enough. They also help in the protection of the crops. Usually, they can warn predators of how distasteful they are. Lady bugs are indeed not just eye-pleasing. Author adminPosted on July 24, 2017 Categories UncategorizedLeave a comment on Facts about Ladybugs – What are they? According to the October 2015 edition of Pediatrics, the current statistic for children with autism is 1 in 91 children. For my family, this statistic is all too real. Being the parent of a child with autism presents its own set of difficult challenges. There is a certain sense of powerlessness that accompanies this responsibility. While state and local governments are figuring out how to accommodate and service the growing number of children with autism, we are living with the day to day challenges of raising and educating a child with moderate autism and profound hearing loss. After my parents moved to Lake County Florida in 1998, I was faced with the challenge of raising my hearing-impaired child on my own. After learning that Taylor had severe bilateral hearing loss, I was disappointed, but surprisingly optimistic. It was important for me to have a strong background in education in order to serve as the best advocate for Taylor. Though I received my bachelor’s degree from the University of Illinois at Chicago in 2012, over the past eight years I have acquired two additional graduate degrees. After we moved to Brooklyn, New York for my teaching position in 2013, Taylor was diagnosed with moderate autism. Because of her limited language ability and other various developmental delays, it was difficult to figure out how to educate her. Prior to our move to New York, Taylor was implanted with the cochlear implant, a device that provides hearing to one ear through electrodes that are implanted into the cochlea. Because of the complexity of the device and the new influx of sounds, the device provided an additional challenge to an already multifaceted diagnosis. Though there were specialized schools for autism and deafness, there was not a special school that could service both disabilities. When planning her program, we attempted to separate her goals into short term ones, all while maintaining realistic expectations. It was our hearts’ desire for Taylor to walk, talk and hear, but realistically we settled on more assessable short term goals, such as reciprocating the signs we presented and toileting independently. Because of the dedication of countless teachers and therapists, Taylor has been able to beat the odds despite her dual diagnosis. She is an avid swimmer and participates in Maine Handicapped Skiing during the winters. The Sunday River ski resort houses this special program that enables children and adults with special needs to ski while assisted by trained volunteers. While vacationing in Florida this summer, Taylor has also enjoyed morning swims in a local pool. Spending holidays and vacations in Florida with my mom has been a rewarding source of respite. There are numerous obstacles that parents face when raising a child with autism but when given a proper diet (gluten free), and a standard routine, life for a child with autism can be just as satisfying as that of a typical child. There are two key ideas to keep in mind for long-term success regarding children with autism. First, educators and parents should work closely to assure the specialized educational plan often known as an Individualized Education Plan (IEP) is put in place. The IEP is generated once per academic year and allows parents and educators to create specialized goals that are tailored to the needs of each child. Secondly, it is important to have realistic and measureable standards that encompass the special talents of the child. Therefore, children with autism are able to enjoy reaching those standards while building on their unique abilities. Being the parent of a child with autism is like being the leader of a marching band. The band members are made up of therapists, teachers and doctors. Your job is to lead the band through a maze of harmonious renditions while staying motivated and energized. In doing so, you pray that at the end of the performance you are still standing and you must remember to enjoy yourself along the way. Though it is exhausting and emotionally demanding, this event must be orchestrated just right, so the band members march forward despite difficult circumstances. As the leader, it is important to keep in mind the main goal of a band leader: arrange a crisp program that not only sounds flawless but appears effortless. This must take place all while forging straight ahead, overlooking minor mistakes and errors. Even though your back is turned the entire time, you know what each participant should be doing and what role they play in the success of this occasion. The routine must be tailored specifically so your child can succeed. This life-changing performance involves strict planning, practice and patience. Even though you may stumble along the way, when you are the leader, you take full responsibility for the failures and the successes. Before the finale, you reflect on the highs and lows of your performance, and you are grateful for those who have participated to make it such a worthwhile event. As the parent of a special needs child you hope that one day your child is able to dance to the beat of their own drum and benefit from the life-changing contributions that were made on their behalf. Finally, you take a bow. The book is applicable to any Forex market which is why this is referred to as the Trading Bible of most traders. This book will be good for everyday reading as you go on with your career as a currency trader. They are two books but they are worth reading. The lessons and insights that you gain upon reading these books are applicable to any market and trading activities as they are timeless. The Dummies Currency Trading book is a great book in preparation for your currency trader career with its best Forex trading strategies. Warrior Trading is more of an average Forex trader’s book but it is highly recommended because of the insights on the mechanics and market psychology that were brilliantly expressed in it. This book by Louise Bedford is highly recommended since it tackles the introduction to the topic on candlestick charting alone but not about Forex Candlesticks. These books by Steve Nison are most likely similar in terms of content that is why they are on the same spot on our list. He brought the candlesticks to the West from the Japanese culture and he continues to update it in order to remain strong and educating to its readers. As the name suggests, this is really an encyclopedia that provides a comprehensive and detailed explanation of common and uncommon chart patterns. 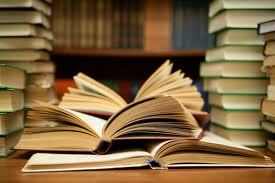 Though it is an uneasy book to come by, but it can provide you with a source of good research. The How to Trade a Currency Funds book by Jarratt is a very good source of knowledge for traders who belong to the intermediate to advanced level who have been consistently achieved success but are still aiming for much success in the trading industry. Kathy Lien is a reputable currency trader and a person who is known to be of good virtue in terms of value and integrity on the internet. She is the type that could make you listen the moment she starts to speak and read the things she writes for you to achieve what she has already achieved. The knowledge that the best Forex trading books can give are incomparable compared to the modern way of obtaining knowledge. They are capable of giving continuous updates in order to keep the needed knowledge current. Try one of these recommended books and you’ll see the difference that traditional books are valuable investments in giving you insights and information vital to your currency trader profession. Clueless about personal finance forms? You’re not alone. Thousands, if not millions, don’t know what these forms are and what they’re for. Thus, their personal finance management suffers because they can get their tax payments wrong. So we’re bringing you information about these forms. We’ll discuss what these forms are for, and how to fill them out correctly. This form is also known as the Employee’s Withholding Allowance Certificate. 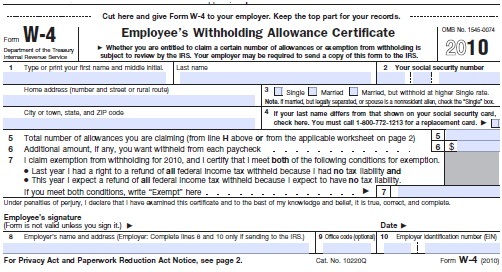 The W4 is a helpful document that informs your employer your withholding allowance claims. This form requires you to divulge information like marital status. It also tells the employer if you are claiming exemptions from withholding. To fill out this form properly, read all the instructions first. On the Personal Allowances Worksheet part are lines A to H. These lines let you determine your personal allowances. If you’re married, you need to also include your spouse’s allowances in this section. For those with children, they need to follow the instructions starting from line D to determine their allowances. And Line H asks you to sum everything up. The bottom part of the form is the Employee’s Withholding Allowance Certificate. You’ll be asked to fill your personal information along with the total personal allowance amount. Through this certificate, you can ask your employer to take out an additional amount from your monthly paycheck (you can do this on Line 6). For Line 7, this is applicable for those who were tax exempt the previous year. 1040 is the form used to file income tax returns. This form has a lot of sections where individuals disclose their financial income for the year. The IRS will then use this form to decide whether the taxpayer is short on his taxes or is due for a tax refund. All 1040 forms must be filed before April 15. The 1040A is a simplified version of the 1040 and is used by taxpayers who earn less than $50,000 a year and who do not own businesses. The 1040EZ is the income tax return form for taxpayers without dependents. For the purpose of simplifying this article, we will only feature the hardest of the three forms—the 1040. Fill in your personal information. Make sure all information you provide is current. Don’t miss out on filling out your Social Security information as this can lead to delays or can increase your tax. Check your correct status on lines 1-5 (either single, married filing jointly, married filing separately, head of household, or qualified widow or widower). Complete exemptions section by checking the appropriate box. Determine if your dependents are qualified for child tax credit. Add up all the numbers once done. Complete the income section by checking line 7 of your W2. Add up everything to get your total. Complete the adjusted gross income, if applicable. Come up with your deductions. For this part, you can either itemize your deductions or just use the standard deduction from your status. Calculate your taxable income for you to determine your tax. Also determine which credits you can apply. Next, complete the Other Taxes section, if applicable. Last, fill out the payments section. Now you’re not so clueless about these finance forms. It’s best to ask help from an accountant. However, you can go ahead and file your own taxes if you’re confident you can do it on your own. This article about personal finance form should give you a headstart. What Is Stock Investing Simulator? How do you limit your risks when investing in the stock market for the first time? Download a stock investing simulator and play the game of stock trading without shelling out real money. 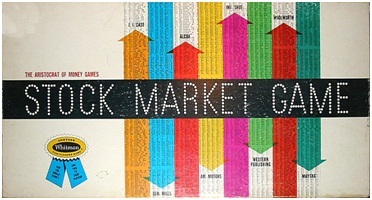 A stock market simulator allows beginners to get a feel of the market without the risks. New investors will feel safe in a trading platform where they are allowed to make mistakes. They will learn about which stocks to invest in and which stocks to avoid. It’s basically a software that simulates the activity of the stock market. The biggest and most important difference is that no real money changes hands in the simulator. In the olden times, practice trading is done by monitoring the stock market and doing trading transactions in paper. They termed this ‘paper trading’. It has since taken a more sophisticated and high-tech form with the stock market simulator. Simulators work by allowing users to manipulate virtual money. They can use this virtual money to make investments that mirror real-world market activities. This way, an investor can gain or lose virtual money while expanding their knowledge on how the market works. It’s a good tool to use for beginners. Beginners can start practicing on the knowledge they gained from reading books about the stock market. There’s no risk involved for the money traded is virtual. A new trader is more open to make investments because there’s no fear of losing money. As a result, mistakes will be made but a lot of valuable insight can be gleaned from them. Beginners can also learn certain trading concepts like leveraging, shorting stocks and derivatives. These concepts will help new traders once they’re ready to make live market transactions. Concepts on fees and commissions are also present in the simulators. New traders will encounter these fees virtually first in order to prepare for them once they do the real trading. Simulators are valuable assets for expert traders who want to test out their investment strategies. The implementation of these strategies is risky without testing them first. Simulators provide the best possible platform to test whether they work out or not. Online stock market simulators can provide the best stock market insight to new traders. But they’re not a hundred percent accurate. The actual market is quite unpredictable and traders who do well in simulations might do badly in the real thing. That’s why there’s a need to have an expert guide new traders. These experts can help beginners make sense of the activities, and simulators don’t offer this feature. Start practicing stock trading with a stock investing simulator. A lot of these are offered free for download, and some can be run straight from your browser. But remember that simulators do not offer the full scope of investment education. Also look for a trusted investment expert to help act as a guide to stock investing. Author adminPosted on December 16, 2013 December 16, 2013 Categories ForexLeave a comment on What Is Stock Investing Simulator?